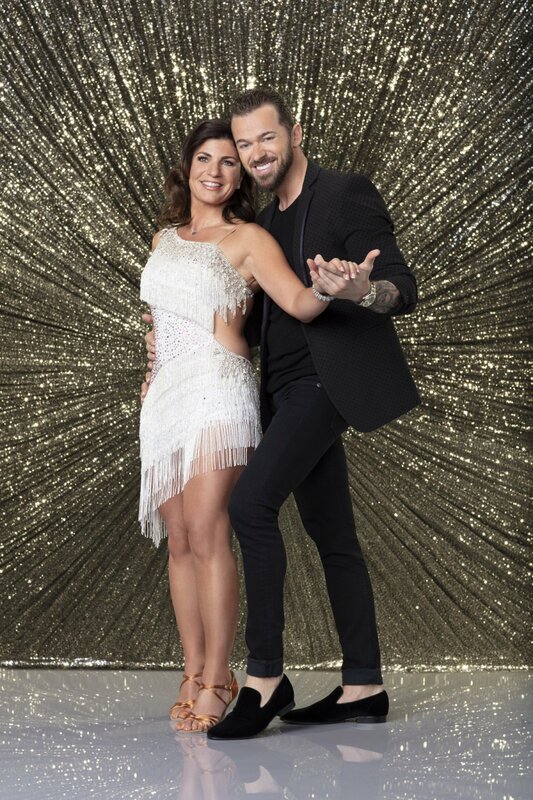 Danelle Umstead is currently competing on Season 27 of Dancing with the Stars. Danelle already proved she has stage presence when Dancing with the Stars' new season premiered on September 24 on ABC. However, the following night, Danelle and her professional partner Artem Chigvintsev were one of five couples in jeopardy of elimination. After earning 18 points during the debut performance show for their foxtrot routine, the couple had to dance again on Tuesday night, adding 18 points to their initial score. With a total score of 36 points from Dancing with the Stars judges Len Goodman, Carrie Ann Inaba and Bruno Tonioli, Danelle and Artem were declared safe -- and Nikki Glaser was ousted from the competition instead. Curious to learn more about this Dancing with the Stars contestant, who will dance again on October 1? - At the age of 13, Danelle was diagnosed with Retinitis Pigmentosa, a genetic eye condition where the retina progressively degenerates and eventually causes blindness. She has no central vision and is losing her peripheral vision. Currently, her spotted vision limits her sight to less than five feet without any detail. - Danelle's father, Peter, first introduced her to adaptive skiing in 2001. - Skiing led Danelle to her husband Rob. They met in Taos, New Mexico, in 2005. Her severe vision required her to ski with a guide, a job which Rob had since Summer 2008. Rob was Danelle's eyes on the course. - As Team Vision4Gold, Danelle and Rob have won 3 Paralympic bronze medals, 4 World Championship medals and over 50 Alpine Skiing World Cup medals. - Danelle and Rob made history at the 2010 Vancouver Winter Paralympic Games as the first husband and wife visually impaired ski race team to compete and medal for Team USA.